- Information of RRC CKD countries, plants, vehicles and details will be of great interest. - Photos of the same as above to show and inform this rather "unknown" theme of Range Rover Classic. 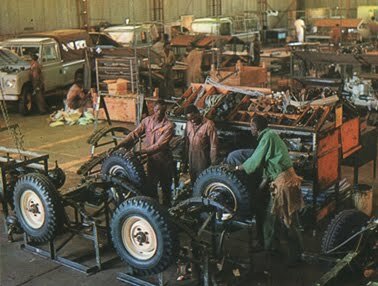 Land-Rover and Range Rover were assembled at no less than 23 countries abroad of UK in 1980. 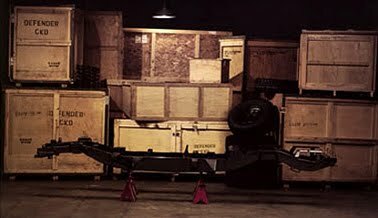 Not all of countries where Land-Rover were assembeled also assembled the Range Rover from CKD "Completely Knocked Down" kits. 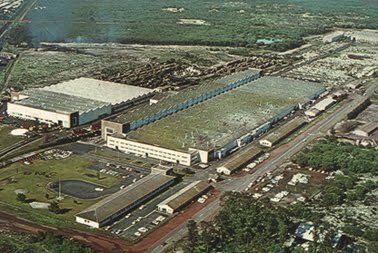 The reason for CKD assembly were due to bilateral agreements, import taxations, labor cost, local political conditions and due to repetitive strike conditions within BLMC in the 70's and 80's. The CKD kits normally shipped in quantity of 6 kits. *CKD: "Completely Knocked Down" for assembly abroad. Detailed figures are not available. From late 1970's a South African CKD Range Rover from Blackheath C.P.